This Amazing Quality Sound Engine (with Equalizer) that evolved further has been focused mainly on developed its sound quality. The engine is very fast to pursue a high-quality sound with the frequency of more than 4000. *It is for the music files that are stored in the iPhone. 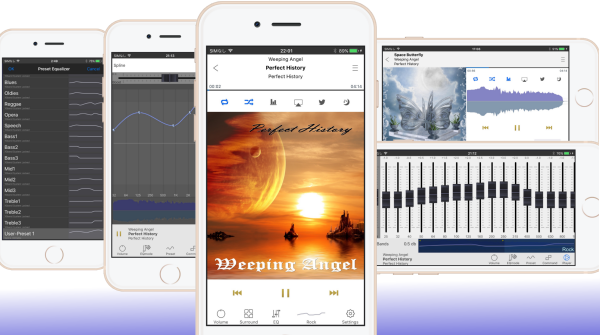 This concept of audio player is "To reproduce high-quality sound with more natural, create a comfortable environment for music." * SuperLoud Essential is for Rock, Pops, Classic, Jazz and more sound. even if you adjust Bass sound level to maximum. * And, Function "Silence Detection" will help significantly to natural reproduction. Following is recommended to use. * High quality sound is wanted. * Sound of your choice, enjoy the song. * No distortion sound by equalizer. * Favorite song with equalizer when you driving. * As a live from studio sound source, enjoy the virtual surround . * Work / school in a rush, want to change the sound and listen better. * Practice of music, listen easier your part of sound. This Audio Player has the 5 Bands/10 Bands/20 Bands/30 Bands Graphic Equalizer, Spline style Graphic Equalizer and some preset equalizers. SuperLoud Essential allows you to change the sound effects what you like. It is also you can create any preset-data by Graphic Equalizer. 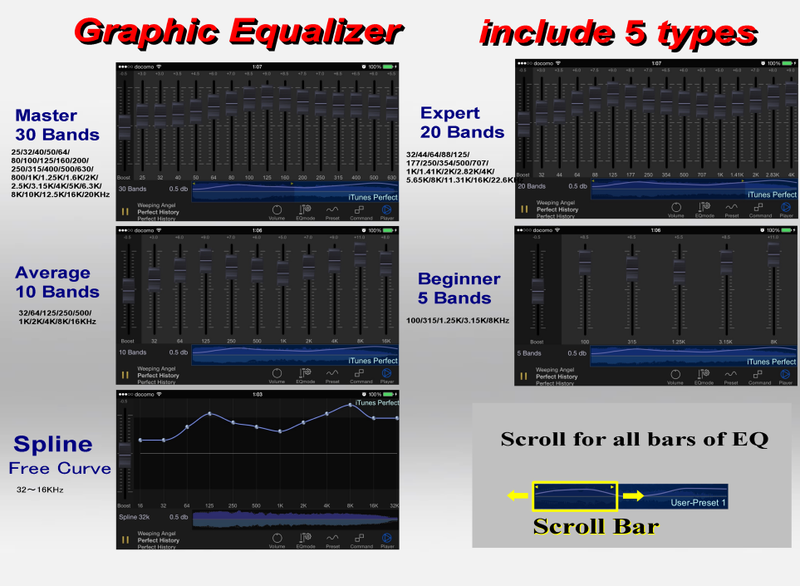 You can use all five types of graphic equalizer. *It might not to play a song which is DRM protected music. You can use all five types. Selection List screen of the player feel like the iPhone standard player (Music). "Shuffle" also at the top of the song list. Song list are displayed in the order of the title. the order of the list that is displayed is the album order. Then, the order of the songs in each album is the track order. 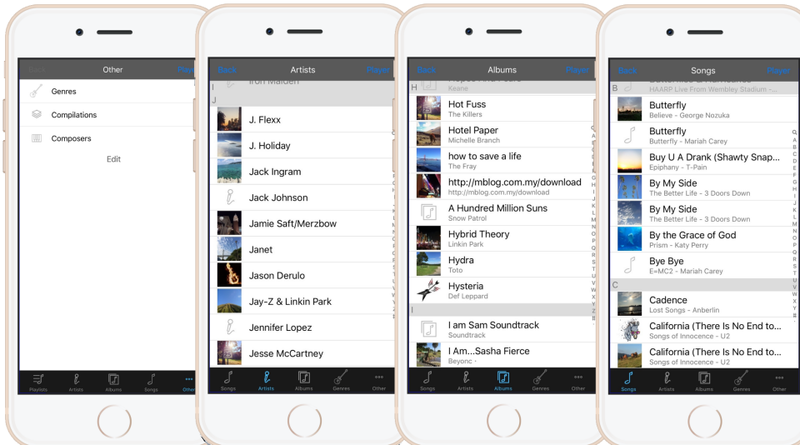 "Search" also at the top of the artists list, albums list or songs list. After completion of the reproduction of all the tracks have been selected, the play repeatedly. After completion of the reproduction of all the tracks have been selected, the playback stop. Repeat playback of the currently playing song. After completion of the reproduction of the currently playing song, the playback stop. This Amazing Quality Sound Engine is developed in consideration of high-speed operation and high efficiency for the realization of high quality sound. Our sound quality calculation process has a high arithmetic processing for best sound quality. It is to realize high-speed operation by calculating higher algorithm and the partial assembly as internal processing. As a result of them, though it is clear high-quality sound, in this application is processed into high efficiency about CPU utilization when playing background, is also achieved longer battery life. So the default value set to the best sound quality for each device. Added a Virtual Surround (Reverb) function. The Amazing Quality Sound Engine (with Equalizer) evolved further. changed the image icon of the app for more friendly. Amazing Quality Equalizer - SuperLoud Essential is very popular in Japan. The current rating is 4.5 stars. Thank you for our users. If you sent your thoughts comments and, additional function about this application to us, we might work more for this app. 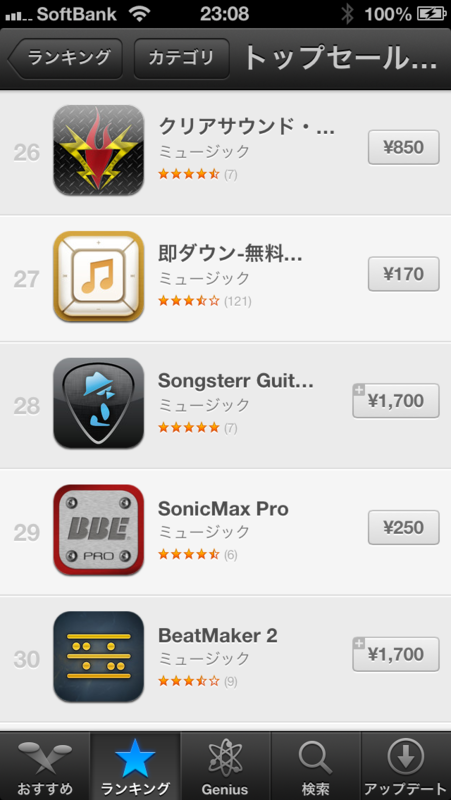 iPad compatible version sales start (Universal app support). added a Resume function at startup (waiting in the playback time of the last playback song). added iPhone7, iPhone7plus, iPhoneSE, iPhone6s, iPhone6sPlus, iPad Pro, iPad Air2, iPad Air, iPod touch6 to support model. It is iOS 7 or later as a compatible model. It pursued further high-quality sound. Adding the Gain function on Volume View. Improvement of setting the continuous playback mode. And added iPhone6, iPhone6Plus to support model. Further optimization of CPU utilization. Added the lock release function of preset equalizer data created by the user. Add the function with the right swipe from the left edge when the "back" button is displayed in the song selection list screen. Fixed a bug when setting values ​​of the orientation of the player screen is not automatic. 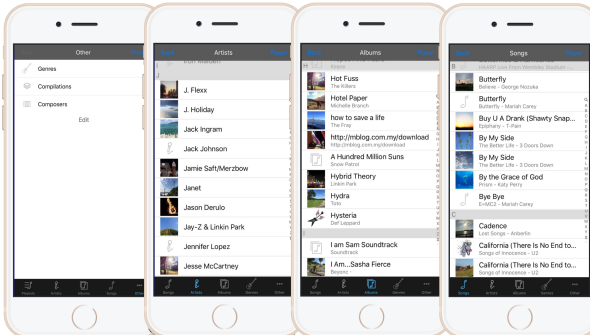 Faster display of the song selection list for many songs selection (10000 songs). Added a line cursor to adjust for spline graphic equalizer. Fixed a problem that can not be controlled by "previous track" button and "foward track" button on the steering. .For iOS7, Fixed a bug that status bar overlap the screen of "Create temporary Playlist"
.Fixed "after displayed the configuration screen during playback, the display position of the lyrics is back to the top"
.Fixed "when the camera shooting during playback, there is a case to stop play"
.Fixed "When you remove the camera image during playback, there is the case that the next song is played"
.Added a function to select the artist name of song selection at the "Album Artist", "Artist"
.Fixed that "During playback of a song longer than 50 minutes, there was a rare case to suspend play." .Fixed because there was a bug that falls at the start of the app startup in rare case. .changed the app icon image to "The Lion of listening to music with headphones"
.added "Search" also at the top of the artists list, albums list and songs list. .added the song selection screens similar to the standard player..
.In rare cases,Fixed a bug "After hanging up, without playbacking a song before ringing, but it is starting to playback a song"